A pediatric dentist is a dentist who specializes in the diagnosis and treatment of dental diseases and conditions of children, young adults, and the special-needs population. 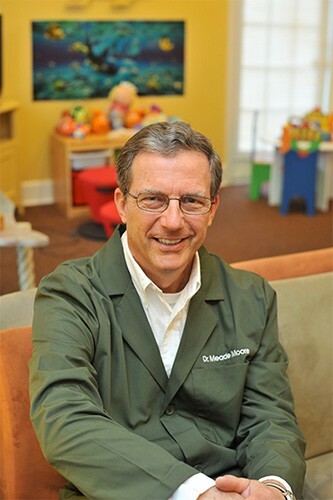 Pediatric dentists have received two-three additional years of graduate training and study of the growth and development of the mouth, teeth, and jaws of children and teenagers. The best way to understand what a pediatric dentist does is to compare their responses to the role that a pediatrician plays in the prevention, diagnosis, and treatment of childhood medical diseases. Whereas pediatricians are doctors that have specialized in the medical problems and diseases of children and young adults, pediatric dentists are dentists that have specialized in the dental problems of children and young adults. Just as most parents would not consider sending their three-year-old child to the parents’ medical doctor, most parents should not consider sending their three-year-old child to the parents’ general dentist because that dentist has not been trained, is not equipped and/or is not gifted to work with the younger population and their unique set of dental problems. 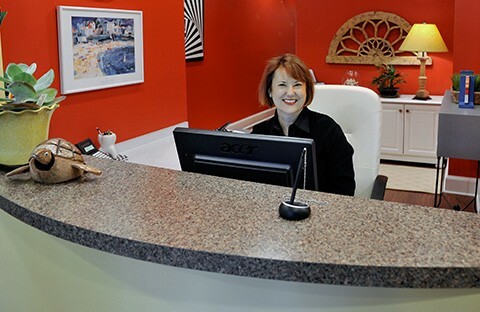 First and foremost, our office was specially designed to be a fun place for children to come and visit. In the waiting room, Dr. Moore has a large flat screen TV and a video game console for our patients to use as they wait for their appointment. Books and stuffed toys are available for children to play within their own section of the waiting room. Parents are able to watch the news or their favorite TV shows on another large wall-mounted flat screen TV in the waiting room. Secondly, the treatment room is based on an open-bay concept, where everyone can see each other. One parent per patient can accompany their child back to the treatment room if they so desire. There are no hydraulic dental chairs which are common in an adult dental office. Instead, Dr. Moore uses cushioned benches that are stationary, with flat screen HD TVs mounted above the tip of each bench so that every patient can watch cable TV or the latest DVD movie. Be sure to look at the pictures featured in our Office Tour section on this website. After each dental visit, patients are given tokens and told to go “buy” something from our toy machine. Even some of our teenagers still ask for tokens so they can get a “prize” for being good! Our tokens and toy machine have been a huge hit for many years now. It is important to also know that we work very hard to keep every part of our office clean and as germ-free as possible. We subscribe and follow the ADA’s Infection Control Guidelines for a Dental Office, the CDC’s Infection Control in the Dental Office Recommendations. We also follow the TOSHA and OSHA Guidelines for the health and safety of patients, parents, and staff. Our office utilizes a computer-controlled digital x-ray system. This latest x-ray equipment reduces radiation up to 90% as compared to conventional x-ray equipment. Additionally, there are no more “cardboard” x-rays to bite on to obtain x-rays. For children, this is a huge plus since children no longer dread having x-rays made since there is no gagging caused by the traditional x-ray system. Moreover, we can detect decay or infection with a higher degree of accuracy at an earlier age than with conventional x-ray techniques. Our staff is trained in the use of our laser cavity detector. Dark stains can mimic the appearance of a cavity. Our office’s cavity detector helps Dr. Moore determine the difference between a dark stain and the beginning of a cavity. The cavity detector is another tool used in our office to provide your children with the best possible dental care available. More recently, our office has transitioned to a chartless office, with all records, notes, and treatments recorded electronically on the computer. By being chartless, there is far less chance of accidental transmission of germs and viruses to staff or visitors in our office.